What rival pageant could drive such a spectacular display of fandom you ask? 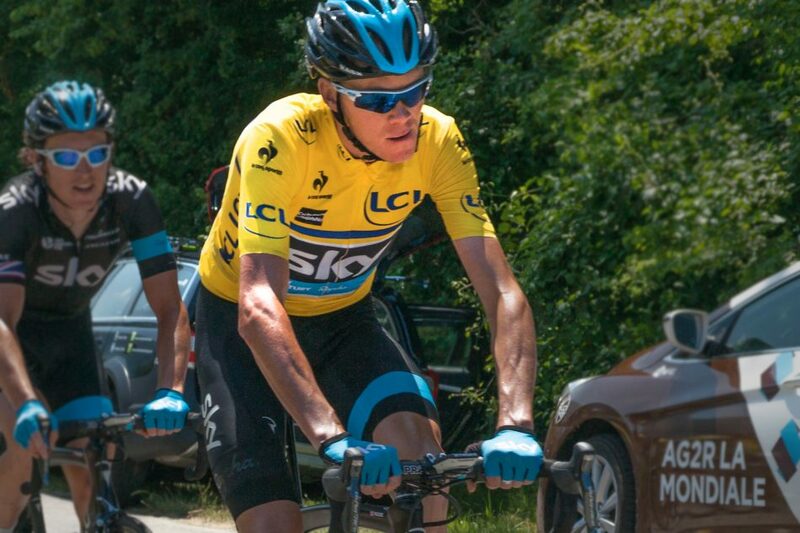 The Tour is well under way we’ve already seen great feats of strength, a harrowing descent by Chris Froome, and premature dropouts from notable twin-wheel-titans. But, if you have even a loose affiliation with cycling, you know that riders compete for more than glory. Professional cycling, much like NASCAR, is a bold display of brand trademarks. As competitors brave the Alps and Pyrenees or churn relentlessly around the Champs-Élysées, this is not just a show of super-human endurance, but also marketing on a Herculean scale. You may not know, however, that in 1930, race directors removed branded team names from the event in hopes of shifting focus again to national glory (it worked out well for France that year). Brand names were instead relegated to the pre-race Publicity Caravan, essentially a Mardi Gras parade for big business. Teams would once again don branded jerseys in 1969, but the Publicity Caravan continues to thrive—proving that once you let marketing in and feed it, it never goes away.